It’s time I blogged. I’ve been teaching English in Cambodia for the past three months. It has been a real adventure and I’ve loved it. There have been so many things to absorb, equal amounts of joy to challenges. My Cambodian students fill me with admiration. They work six days a week and sometimes two jobs and still they turn up to learn English. I will leave a part of my heart here. I will blog about Cambodia, when I return to New Zealand. And so, my thoughts are now turning towards home. 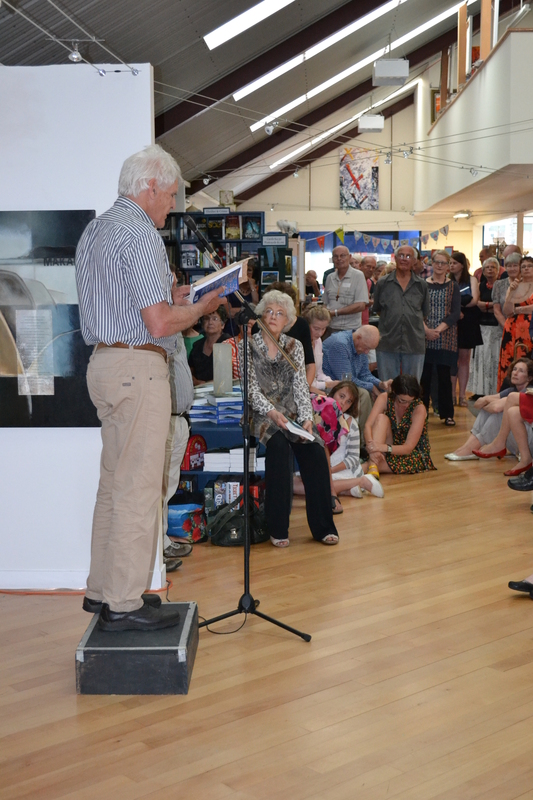 While I was over here teaching English, the Eastbourne Anthology, was launched. I am proudly one of the co-editors of this publication, along with Mary McCallum and Anne Manchester. We worked together on it for two years (not imagining when we started, that it would take that long). I left to take up this volunteer teaching role in Siem Reap for three months, just before the final stages of the editing. And so I must say a big thank you to Mary and Anne for carrying on in the difficult final few weeks, with deadlines and proof reading to be done. 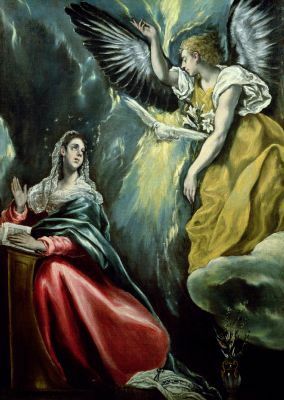 Too, I wish to acknowledge that the inspiration for this anthology was Mary’s. She invited us to join her on this project, knowing that all three of us share a passion for literature and our community. We knew too, that many famous New Zealand authors had featured Eastbourne in their work. But we didn’t know quite how many until we began our research. And nor did we realise how many talented local unpublished authors would submit their work. Constantly, we were surprised and delighted by the variety and the quality and this made our job has editors so much more difficult – and in the end rewarding. The easy bit, was of course, the ‘Classics’. I’m a devotee of both Katherine Mansfield and Robin Hyde, so I was more than happy to re-read their work and rediscover the references to my own home bay, Days Bay. And then great joy, I was introduced to the work of Molly Falla and had the good fortune to meet her daughter, one of Days Bay’s oldest residents – well, she has lived in the bay perhaps the longest. My next most exciting discovery, with the assistance of Ali Carew of the Eastbourne Historical Society, was the writing of Mary Findlay and her astonishing memoir ‘Tooth and Nail’. I blogged about this a few months ago. When our family first moved to Eastbourne, over 24 years ago now, we noticed how many second generation families there were in the community. I will confess, at first I had reservations about this. I scoffed a little. We were ‘newcomers’ in the bay and we lived in ‘The Barnett’s House’. Houses were named after the people who had lived there the longest, and not the new kids on the block. I was a working mother (and this wasn’t altogether approved of). It’s taken a while, but I think we’re now part of that same tradition – maybe if we sell our house one day, they’ll say to the new buyer ‘Oh, you’re in the Rainey-Smiths’ house’. I now have a granddaughter living close by to me here in Eastbourne and I understand community in a different way. The dedication in the anthology from me, is for my granddaughter Sienna. I think it’s good to leave your community to gain a perspective and I’ve been away now for three months. I miss my family and friends. 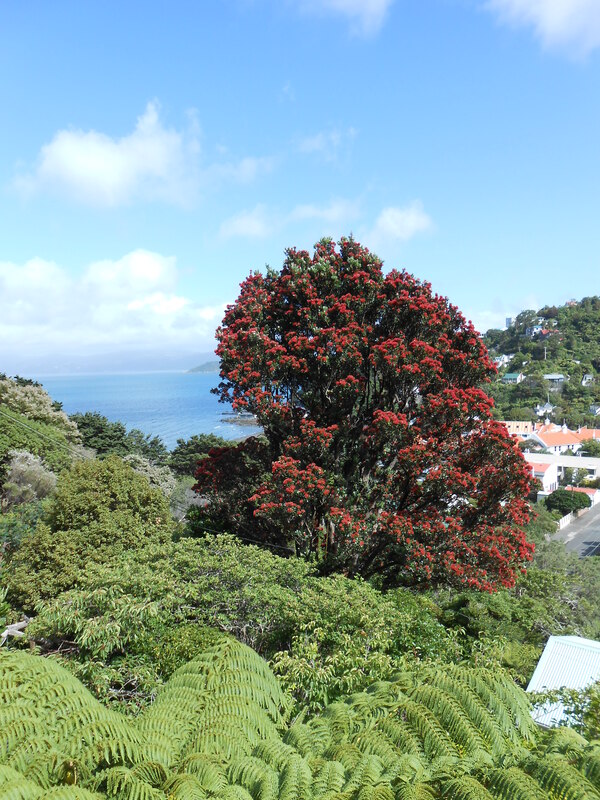 I miss the tuis and the wood pigeons and I miss the sound of the sea. The Eastbourne anthology is a celebration of all the things that I miss and I’m very proud to be both a co-editor and to have two of my poems in the anthology. 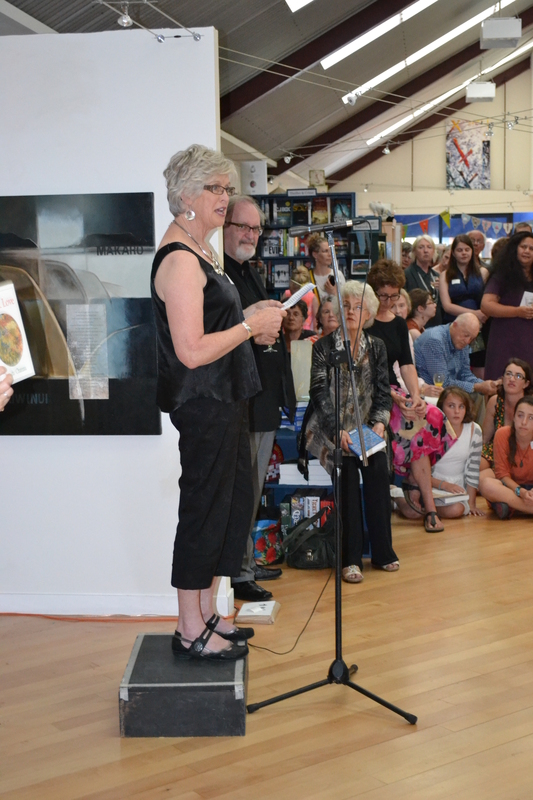 A special thank you to Makaro Press, the new publishing house of Mary McCallum. I hear that the anthology is about to go into reprint. 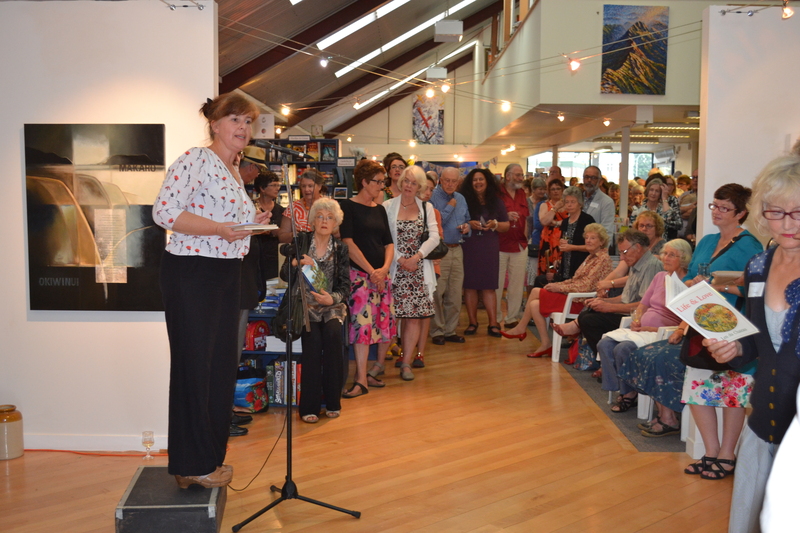 It was Mary’s inspired choice to have the anthology ‘bay-themed’ and Anne’s to invite local artists to submit sketch impressions of their bays. I wasn’t able to be at the launch but courtesy of Viber, I heard the launch speech by Mary and my husband John took these photographs for me. 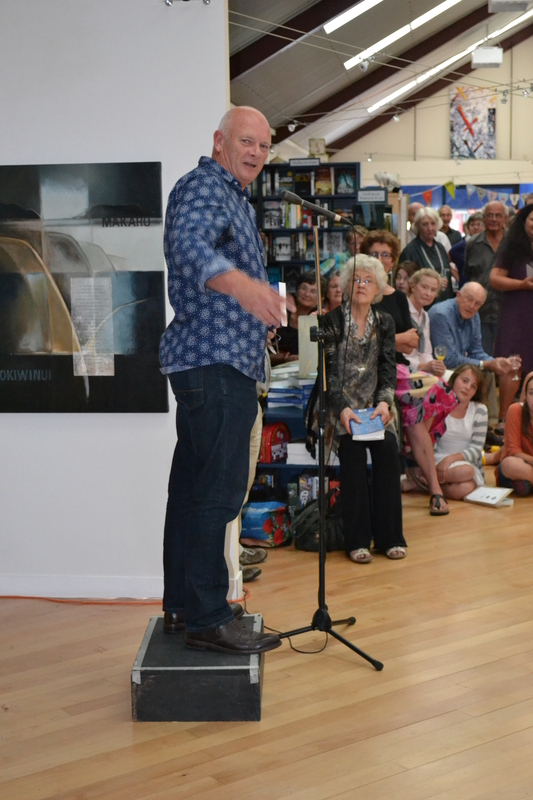 Fittingly, the anthology was launched at the Rona Gallery, home to all literary and artistic soirées in the village of Eastbourne. Joanna and Richard Ponder and their family are staunch supporters of the arts in our community. Lloyd Jones (one of the famous faces) reading from his work. Anne Manchester, co-editor (whose work also appears in the anthology). It was the little bit of bitumen stuck to my shoe that started this post. A sultry windless day this week and the temperature had risen to the mid twenties. In Wellington, this is a heat-wave. I lifted the irksome piece of road from my shoe and saw the tar. Lovely black tar, the warm ooze from the road that summer sometimes brings. I grew up in Nelson where in summer the tar oozed all season long. This piece of road stuck to my shoe reminded me of streets shimmering with watery mirages, the impulse to lie down, lay your cheek against the bitumen. Of course we could back then. There weren’t so many cars. A week earlier I made my Christmas cake. I know, it’s late, and I should have made it weeks ago. It’s a ritual that I love. I use my mother’s recipe which is something now of a mini legend. I’ve lent it to friends over the years and the title is ‘Maggie’s Mum’s Christmas Cake’. She put a teaspoon of curry powder into her cake and so do I. This lends my cake something of the exotic, although of course you cannot taste the curry in it. Once a year, I honour my Mum when I make this cake. And I mix the cake in my late Uncle’s Gripstand Mixing Bowl which I suspect may well have once been my grandmothers. When I stand in my kitchen running my fingers through the dried fruit to make sure the flour and spices and fully incorporated, I have time to indulge the ghosts of Christmas past. It’s aided of course by the whiff of brandy in which the fruit has been soaking. I recall my mother decorating our Christmas tree with a concoction of egg whites that she flicked at the tree randomly using I think the back of a spoon to create our very own fake snow. I remember too vividly, the night my brother had woken and disturbed Santa. He’d seen Rudolph disappearing up the chimney, and the only evidence was the fallen fire-screen. And then too, there is the boiling day when we were going to Grandma’s for Christmas lunch. My mother’s youngest bachelor brother was in town. My maiden aunt who lived with Grandma had loaned her Morris Minor to her brother. He’d gone to the pub and hadn’t come back. We didn’t have a car and we were relying on my aunt and her Morris Minor to transport us and all the food that my mother had prepared up to Grandma’s house. And so as memories are made, we traipsed instead on foot, with plates of trifle and pavlova in the hot sun. Mum’s trifles were legendary (sponges made without the aid of Fielders cornflour, whipped with a hand beater, baked in the coal range). 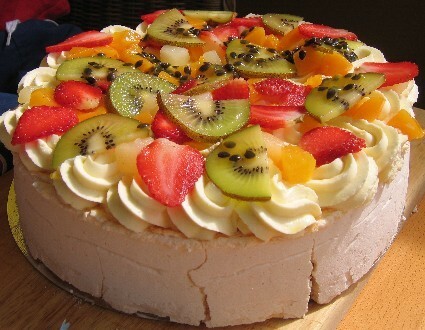 Her pavlova was the crunchiest, deepest, softest in town. She smothered it with cream, and cherries, and pineapple and ginger and walnuts. It wasn’t all that far to walk really, perhaps a couple of miles but much of it was up-hill. I’m not sure how the whipped cream fared, or what trouble my uncle got into, but it’s a Christmas memory. We always got a book for Christmas – maybe the latest School Friend or Andy Pandy annual for me, and one year Meg, Jo, Beth and Amy of “Little Women”came into my life. I recall buying a bicycle bell for my Dad from McKenzie’s Department Store one year for Christmas. We always shopped at Woolworths or McKenzies and I guess they are the equivalent of the two dollar shop nowadays. One of my favourite Christmas present as a child was a brand new swimsuit from a maiden aunt who came from Wellington. She was a waitress at the St George Hotel and worked there for 40 years during its hey-day. Up until then, I’d worn a hand-me down (from my mother or some other adult) pair of togs that filled with water and gave me a bosom, and at five years of age, that was too embarrassing. The swimsuit is a Christmas legend – it was covered in pink and green Christmas bon-bons, had a wee flared skirt and a pink bow at the back. I’ve never forgotten it. My Christmas past is filled with maiden aunts and uncles who arrived and left, trips to the beach or the river in my aunt’s Morris Minor, car sickness, ice-creams, the long slide, midnight mass, Mum’s mince pies made with flakey pastry instead of the short pastry, minted peas, new potatoes, and the back door open with the afternoon sun shining on the new green lino. 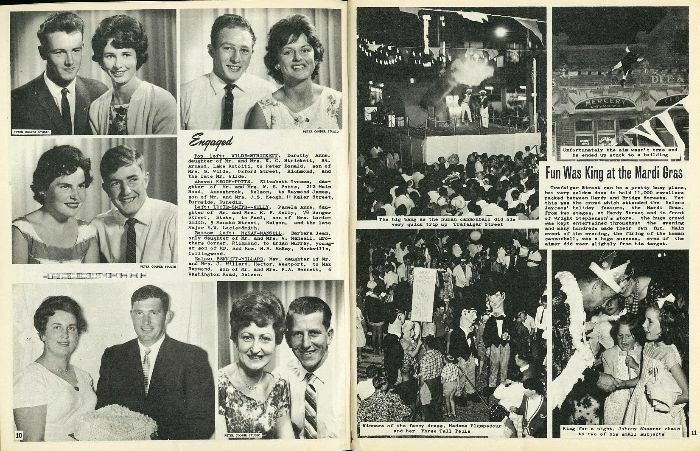 It’s pea-picking with my friends as a teenager, weeding strawberries, picking boysenberries, saving up for Christmas …it’s the Mardis Gras the beachcomber ball sunshine and sunburn, swimming holes and bike rides, fishing off Rocks Road, the endless hot summers of Nelson. And too, it’s the whiff of brandy, the butter, sugar and egg yolks, the egg whites beaten to soft peaks and folded into the cake mixture, the dusting of baking powder at the bottom of the thickly paper-lined cake tin. 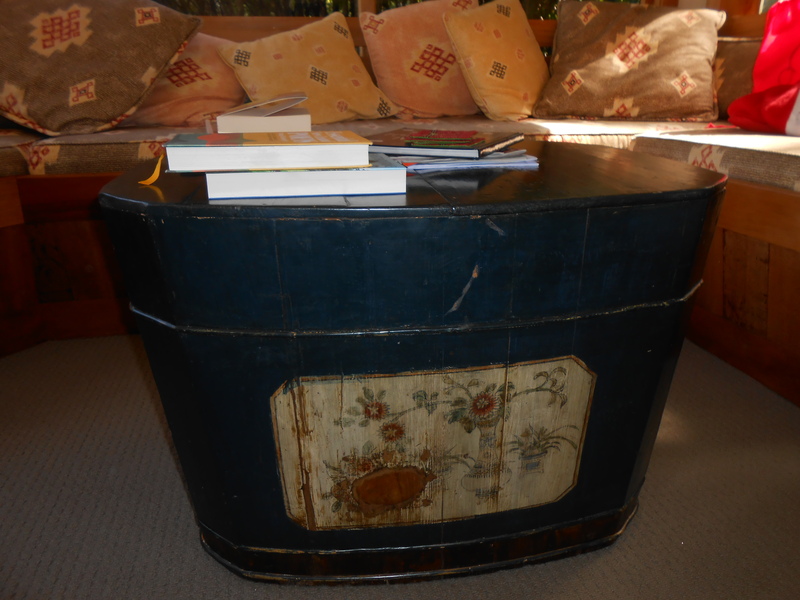 It’s the wrapping of layers of newspaper around the cake tin and tied with string, so the cake won’t burn at the edges. It’s spreading the mixture and packing it firmly into the four corners with a small hollow in the middle to ensure when it cooks, the cake will rise to a perfectly flat shape for icing. It’s rolling out the almond icing and nibbling the left-over’s, and nowadays, it’s waiting for my granddaughter to arrive, to decorate the Xmas tree. We have our own new rituals that we are creating together. She buys me a Christmas decoration every year and I buy her one. We decorate the tree together and we bring out the papier-mâché reindeer that I bought for my boys (one of them her Papa), and she adds pretty coloured ribbons to the reindeer’s antlers each year, to update his image. The ghosts of Christmas past, the deceased; my Mum, my Dad, my brother and all my maiden aunts and uncles are with us.